There’s a long list of film festivals that grace our screens during the year, but that didn’t make the 2014 axing of the Brisbane International Film Festival (BIFF) any less disappointing for local cinema-goers. But now BIFF is back and it’s your chance to see some of the biggest films currently on the international circuit. Add in the plethora of Australian cinema that’s also on offer, and you’ve got a film festival slated to make a big comeback. Though this year’s BIFF has been put together in just a few months – in response to the cancellation of the Brisbane Asia Pacific Film Festival in April – the program doesn’t show it. The festival will present 100 screenings over three weeks, including six Australian premieres and two world premieres. To get you started, we’ve wrapped up the key highlights. On Body and Soul is a tender and funny film that won the Golden Bear award for best film at this year’s Berlin International Film Festival. It’s the story of two awkward, introverted people who discover they both have the same dream each night. Both work in an abattoir – a stark contrast between reality and dreams. The Centrepiece film of the festival, Loveless is a drama that won this year’s Cannes Film Festival Jury Prize. As a couple navigates a bitter divorce – both ready to move on to their new partners – their neglected 12-year-old son Alyosha runs away. Zvyagintsev uses the film to highlight ongoing social and political issues in Russia, including the culture’s lack of empathy. The Square is a black comedy that will open the festival. The film – which won the Palme D’Or at this year’s Cannes Film Festival – takes aim at the art world. Östlund draws on some of his own experiences to paint a portrait of smug altruism. The Official Selection at the recent Cannes Film Festival, this dark drama is centred around the affluent and fracturing Laurent family. They live in Calais, where refugees are fleeing in search of new lives, and Haneke uses these polarising narratives to build a story about joyless people. As the movie unfolds, you’ll realise that Happy End is a title chosen for its irony. Each day Frédéric walks his dog through the streets of Paris, encountering locals from artists to activists. While this format sounds familiar, Life is a Very Strange Thing doesn’t stop there. It’s a part biopic, part documentary that uses observational filming, archive images from Papua New Guinea and Cambodia, and arthouse montage to stitch together a vivid portrait of Frédéric’s life in modern France. The festival will also present a Q&A session with the directors. Given that Broken Ghost (pictured) was written and directed by Australians and also stars homegrown talent, it’s fitting that the US film makes its world premiere at BIFF. 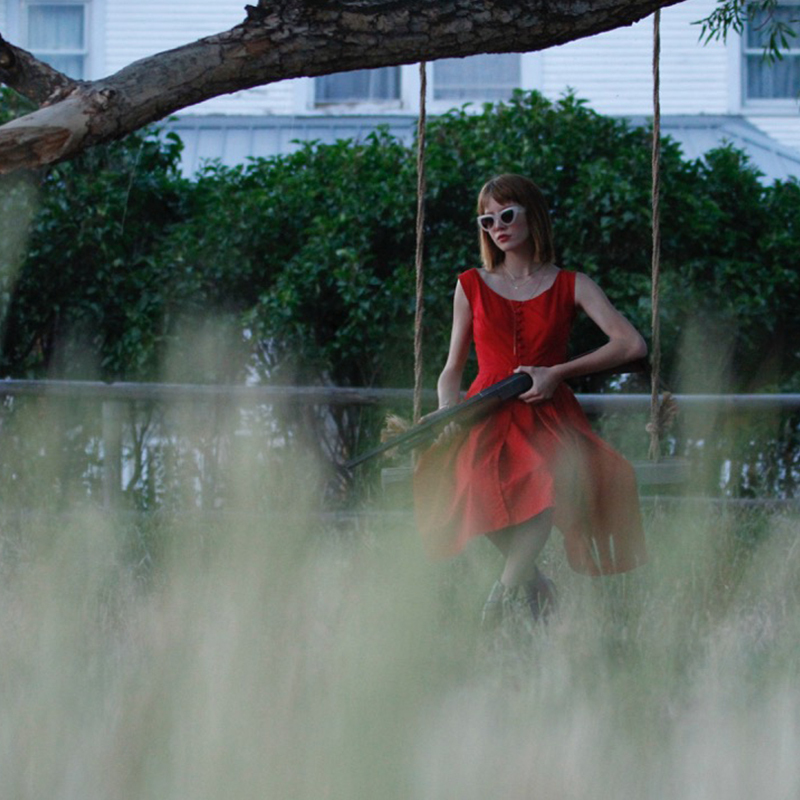 The coming-of-age tale follows Imogen and her family as they seek out a fresh start in Montana. But new bullies and a mysterious presence in the attic stand in Imogen’s way. The Brisbane-born filmmaker noted for directing Red Dog will appear at closing night, which features his film The Go-Betweens: Right Here. To mark the occasion, he’ll be joined by The Go-Betweens band member, Lindy Morrison (OAM). If you are a fan of Stenders’ work, you can also see another of his latest films, Australia Day, at the festival. Artist Albert Namatjira was the first Indigenous person to be made an Australian citizen, but met a troubled demise after being imprisioned. The documentary Namatjira Project looks at his family today, and their ongoing fight for justice. Producer Sophia Marinos and Namatjira family members Lenie Namatjira and Gloria Pannka will attend the screening of this film, and a small number of Albert Namatjira’s artworks will also be on display. This documentary focuses on the conflict in Syria, introducing you to three of Aleppo’s White Helmets – Khalid, Subhi and Mahmoud. They’re volunteers who respond to emergencies to save their fellow citizens. The Grand Jury Prize winner at Sundance Film Festival, Last Men in Aleppo takes you to the true heart of this unflinchingly bitter civil war. It’s estimated that by 2050 there will be more plastic in the sea than fish. At a time when Australia is questioning the future of the Great Barrier Reef and shows like War on Waste are challenging us to think differently about our consumer habits, Blue is a timely documentary that shares many inconvenient truths, creating a call to arms for viewers to protect our oceans. At the age of 89, filmmaker Varda teamed up with street artist JR to produce Faces Places, which took out the Golden Eye Documentary Prize at Cannes Film Festival this year. Together the duo travels through France’s countryside, meeting individuals and creating street art that celebrates the spirit of community. Geoffrey Rush in Stanley Tucci’s Final Portrait – a comedic true story of artist Alberto Giacometti. Cate Blanchett in the art film Manifesto, which sees her play 12 different characters. Terrence Malick’s Song to Song with a cast including Ryan Gosling, Natalie Portman, Michael Fassbender and Rooney Mara.